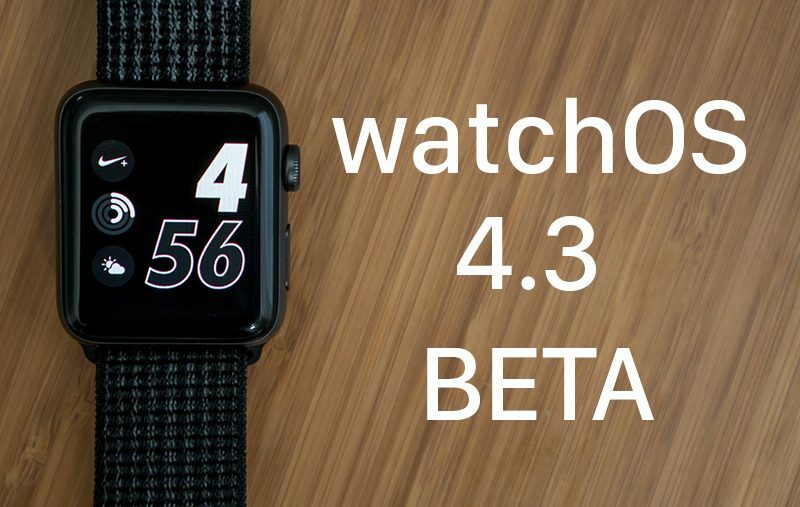 Apple today seeded the first beta of an upcoming watchOS 4.3 update to developers, just two days after releasing watchOS 4.2.2, a minor update focusing on bug fixes and performance improvements. It's not yet clear what new features or improvements the watchOS 4.3 beta might introduce, but we'll update this post once we've installed the update and have had time to look for any new features. Update: watchOS 4.3 introduces support for Nightstand mode when in portrait orientation, it includes a new charging animation when placing the Apple Watch on the charger, and it adds Activity information to the Siri watch face. The update also includes the return of a much-desired feature that allows music playing on the iPhone to be controlled using the Music app on the Apple Watch. In prior versions of watchOS, the Music app could only be used to control music playing from the watch itself. I wish they would make a watch version of the Apple TV remote app. The watch has the potential to be the best remote for the ATV. This exists already. I use it. CONTROLLING IPHONE MUSIC FROM WATCH MUSIC APP HAS RETURNED!!! Yes, I’m shouting. Thank God, thank Apple. Workout app no longer has a lag when starting a workout. Ya beat me to it was just gonna post this. The Watch doesn't need iCloud messages . All it needs to do is just sync back and forth with the iPhone (which does sync with iCloud) and I am not sure how that has not been a feature sine day 1. Very frustrating. iCloud Messaging isn't in this beta. I'm so pissed! Yeah.. I don't care how they do it, but I'm sick and tired of deleting each message on the watch, one-by-one, with no less than three taps. GRRRRRR!!!! Nope. That is iTunes Remote. I'm talking about Apple TV Remote. Nothing tricky. EXACTLY what I said. If you have a newer ATV with Siri, and you don't know about that app, you're missing out. Why can't we develop a @#$* watch face?!? It's things like this, apple ignoring what its customers actually WANT, that has driven me in the past year to, for the first time in my life, buy an android smartphone. I bought the Apple Watch the day it first came out, and I stopped using it permanently about 2 weeks later. I'm rocking a nice Samsung Gear S3 now. 'cause guess what? I can develop watch faces for it, and make it actually do what **I** need it to do, rather than what apple THINKS i need it to do.